Tallen Capital Partners, LLC (TCP) is a privately held real estate investment, development and asset services company. TCP brings an experienced, multidisciplinary approach to the acquisition, entitlement, leasing, repositioning and redevelopment of retail and mixed-use real estate projects and portfolio acquisitions. TCP has established track record in successfully initiating and executing upon value-added retail properties and effectively resolving scenarios involving complicated lender, legal, entitlement, investor and tenant related matters. TCP proactively builds consensus among varied and divergent entities including municipalities, local communities, tenants and capital relationships to create projects that meet the local community needs and are successful locations for our valued tenants. pension funds, private equity, and individual investors. 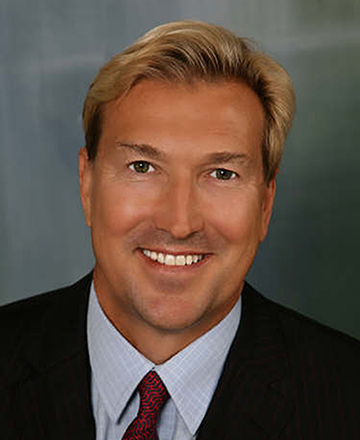 He has served as a senior executive with several large public and private real estate organizations including: The Sembler Company, The Alexander Haagen REIT (ACH: AMEX), Watt Commercial Properties and Burnham Pacific Properties (BPP: NYSE). He also served as a Vice President of the California Public Employees Retirement System/BPP Co-Investment Partnership Venture as well as the CalPERS Urban Investment Partnership. Mr. Tallen is a past or current member of the Urban Land Institute, the International Council of Shopping Centers, NAREIT and served on the editorial and advisory boards of Shopping Center Business Magazine and Western Real Estate News and has served as a mentor in the ICSC Mentoring Program. He is a longstanding Advisory Board Member and guest lecturer at the Kelley School of Business Center for Real Estate Studies. In 2016 he was named a recipient of Indiana University’s 2016 Clevenger Award. The Z.G. Clevenger Award is presented to living Hoosier athletic letter winners who, as alumni, have made outstanding contributions to Indiana University through service to its athletic program. Mr. Tallen graduated with a Bachelor of Science degree from Indiana University’s Kelley School of Business. He was awarded a full athletic scholarship and elected Indiana’s football team co-captain in 1979 and 1980 including co-captain of Indiana’s nationally ranked 1979 Holiday Bowl Championship football team. In 2008 he endowed the “Terry Tallen Football Leadership Scholarship,” a fully funded athletic scholarship granted annually to a football team captain enrolled in the Kelley School of Business. Recently he was a lead donor to the Indiana University Bicentennial Campaign for Athletics. In recognition of this gift, the new 25,000 square foot state of the art IU football complex will be permanently named the Terry Tallen Indiana University Football Complex. Mr. Tallen has been recognized for his philanthropy and volunteer work for children causes, athletics and other worthwhile causes.